When my daughter was about 6 months old clumps of hair began to fall. I remember standing in the shower tears in my eyes as I combed my fingers through my hair. In the palm of my hand lay hundreds of lifeless strands. At the time I was appearing on national television 3x a week and had booked a commercial that was scheduled to shoot in a month. Panic set in. I quickly had to learn how to create the illusion of a full head of hair. Almost a decade and 2 kiddos later my hair is still not what it was, but it has improved tremendously. Below are tips and tricks that I’ve learned through the years to compensate for my loss. 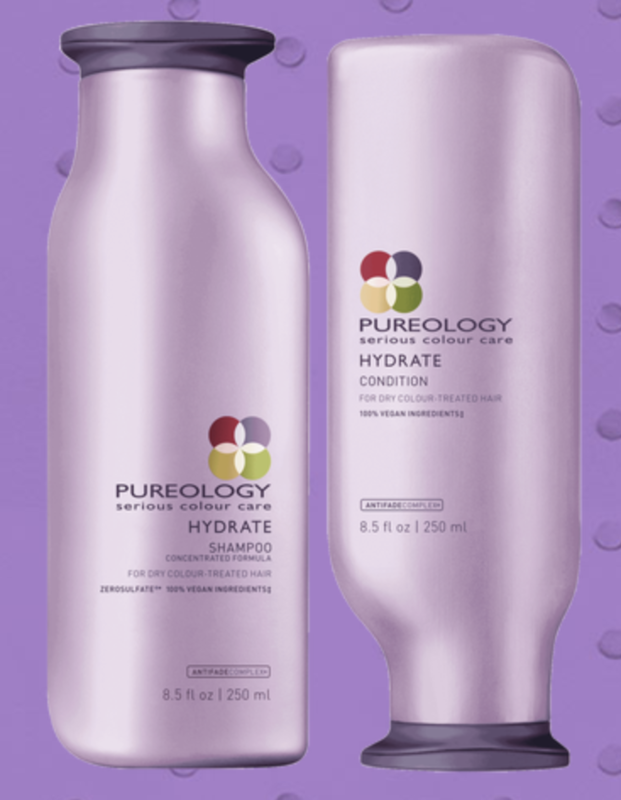 Shampoo your hair with light weight, sulfate free shampoo. If you shampoo everyday, just shampoo your roots/scalp. Condition only the end of your hair. Heavy conditioning at the scalp will weigh down your hair giving you flat lifeless hair that’s hard to volumize. 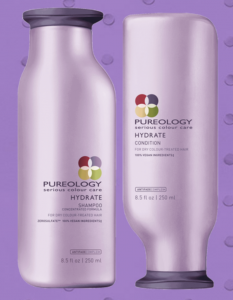 I use Pureology. I find that it cleans and conditions without any residue or added weight. Be kind to your hair. When you brush, brush gently. Hair is weakest when wet. NEVER hack through tangled hair. 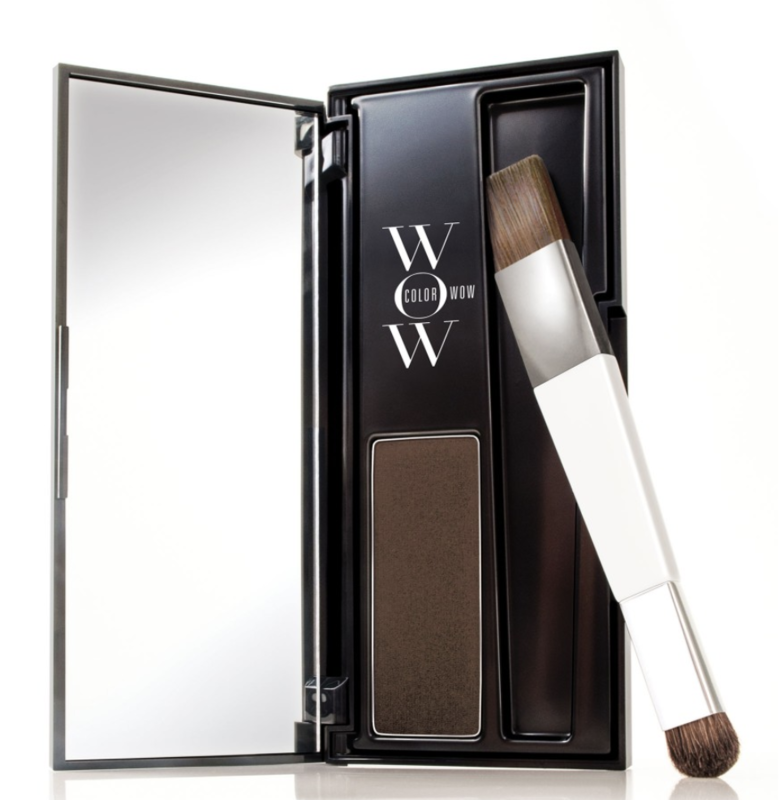 Rough brushing will create more breakage and damage. If you’re like me, you want to keep every strand. I use a WET Brush to detangle my hair. It’s literally magic and works gently to loosen knots. Potion no 9 is described as a “wearable styling treatment”. Work Potion #9 into the ends of your hair to protect them from damage caused by heating tools. Potion 9 conditions, but also helps to close the hair follicles and smooth frayed ends. Bumble & Bumble Thickening Mousse. I apply this all over. The mousse helps distribute the product evenly and adds just the right amount of texture to my hair. Bumble & Bumble Prep- Primer. Use this at your roots while blow drying. I’ll explain…. 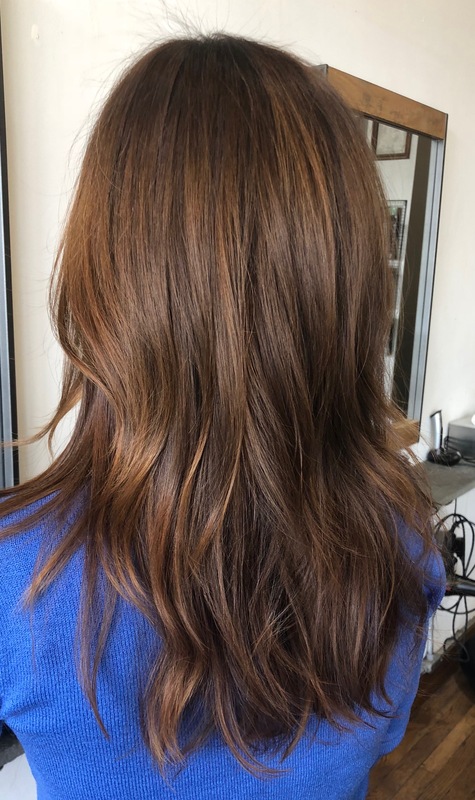 After giving your hair a quick blow dry, lift sections of your hair, spray the B&B Prep at the root then hit the roots immediately with a blow dryer. Do this until you’ve covered you entire head. Smooth the ends as necessary. 4. LAYERS My hair stylist Jodie Lock has been cutting LONG layers into my hair for over a decade. Layers give hair movement and body. Hair that is all one length can appear heavy and flat. One day, just before going on air, my makeup artist took a makeup brush dipped it in some eyeshadow and started tapping my scalp where I am most thin. Amazing. Immediately my hair looked fuller. Flash forward a year-I meet the folks who developed Color Wow. They hand me their product (meant to cover grey roots, and cover up gaps) and says, “Go ahead try it…..it’s great for filling in your hairline.” Well, it sure is! Tap the product where you can see scalp. It’s water resistant and blends seamlessly with your real hair. For all over– I’m a big fan of Toppik. 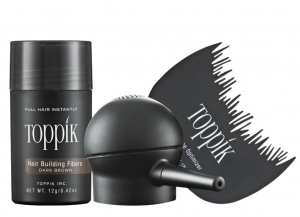 Topik is made from the highest grade of natural Keratin,.Toppik Hair Building Fibers are nearly identical to human hair, which allows the fibers to blend naturally and bind undetectably to even the finest of hair. First you blow dry your hair, then you either spray or tap the micro fibers at the scalp. Start light and then layer as needed. 6. FROM THE INSIDE OUT. Right after I had my first child, I lost a tremendous amount of hair. I remember sitting in a makeup chair at The View and discussing my issue with the makeup artists. She recommended I try the supplement Viviscal. Desperate, I went online and bought a 3 month supply. It’s not cheap and it is a commitment (3 months to see results). However, I did see a big difference.